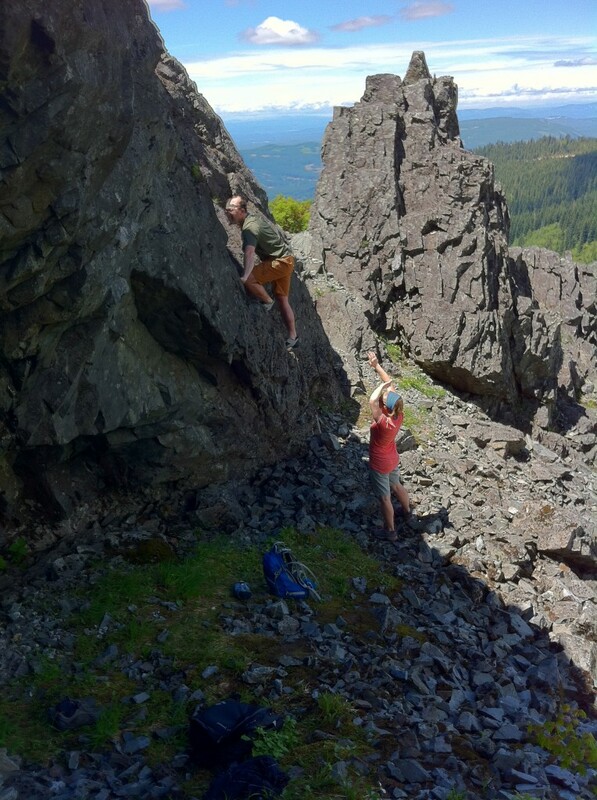 The bouldering Near Vancouver Washington is pretty good. 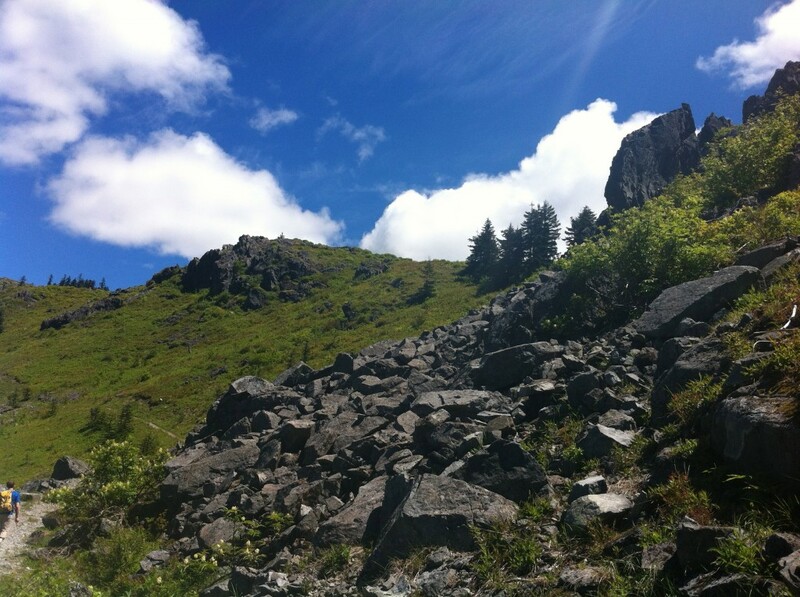 Larch Mountain is the go-to area for most bouldering aficionados who live in the Vancouver/Portland metro but a lot of other areas exist within a short drive of ‘The Couve’. This post is about one of those areas that rests high above the Columbia not far from Larch. Awhile back, when the weather was nice, and the mountains above the Columbia Gorge were not covered with snow, Jess, myself, and our good friends Megan, and Nate hiked to a bouldering area near Silver Star, high above Vancouver, Washington. The bouldering is pretty good despite a bit of a hike to get to the rock. The views are amazing and offer perches to gawk at St Helens, Mt Hood, Jefferson and even Rainier if you are lucky enough to see it peek its head out of the stuffy atmosphere behind Mount Saint Helens. We hit the trail after a bumpy drive up from the Washougal River just east of Vancouver. We had the trail to ourselves and a few deer. The hike in wanders through light pine forest that eventually gives way to tall, grassy, meadows that rustle with winds that travel far across the Cascades and eventually wander through the Columbia Gorge. After a gentle incline we reached the main boulders, a series of clean, grey monsters strewn across the landscape high above a grassy valley. Jess and I on the warmups. The first boulders we hit are a collection of box-sized boulders and a giant pinnacle that offer some really easy warmups and a few moderate classics. This area is a place that has been traveled by climbers before but has gone long forgotten and off the radar of anyone interested in bouldering: a trail gone cold and left way to more popular spots like Carver and nearby Larch Mountain. If this area were in downtown Portland it would be an after-work destination but due to its modest approach it leaves its faces without the remnants of chalk from long-ago visitors, with non-manicured topouts, and nothing but the sound of Eagles to keep you company. This area will never become a Carver, a Wychus Creek, have the following of the mighty Widgi Creek or Leavenworth, but the area has a unique characteristic that is unique to this part of Southwest Washington and Northwest Oregon. The next boulder problem we did was located in a large, overhanging cave that hosts some pretty stout lines. 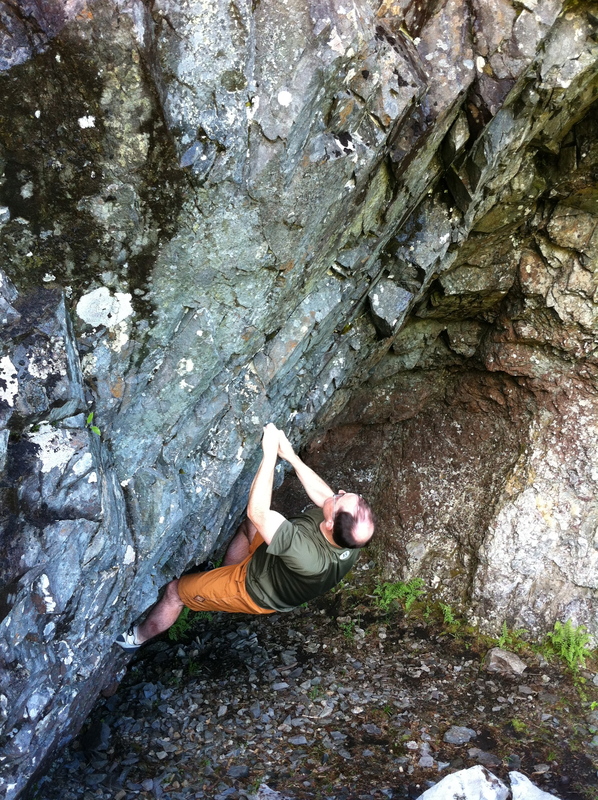 One being Captain Cave Man, a problem that has seen only one ascent. Don’t get me wrong, there are a lot of local climbers who can repeat it, it’s just out there away from civilization. Next to Captain Cave Man lies another hard line that starts very low and climbs thin crimps up a steep wall to a crux cross off tiny crimps and out to a blocky hold near the lip. You can continue to a really high topout but I opted for the wussy version that escapes to safe terrain out to the left. Problem left of Captain Cave Man. After dabbling with a lot more lines we decided to hike a way up along the ridge-line out to a few nice vistas. This weather will be back soon in the Northwest and days like this, with sunshine, good times and good friends will continue throughout the amazing Northwest summer. This spot is home to dozens of good problems in an amazing setting. It’s cool in summer but not a place you want to visit in winter. In a few weeks this area will be climbable and you will probably see passers by hiking the nearby Silver Star trail. If you go plan on a 1.5 mile hike in that is pretty gentle with a few rocky sections and a slight incline. I recommend bringing plenty of water and snacks as you are out in a wilderness area far from your car. The drive up isn’t bad most of the year but is an issue in early spring and late fall if there is snow. A Northwest Cadillac (Subarea) is ideal for getting there but a Honda Civic can make it too. 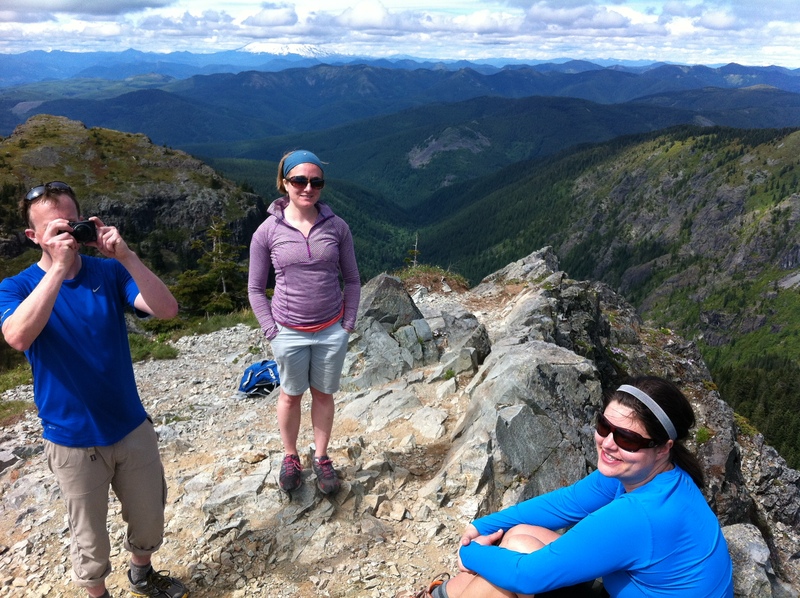 Jess, Nate and Megan at Silver Star. Hey Rob thanks for posting this. I will be sure to check this out.